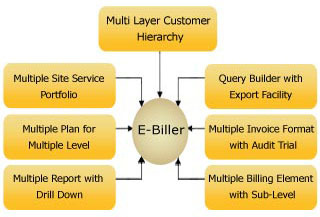 e-Biller has been developed keeping in mind the today's trend in Telecom environment - a trend typically characterized by fast changing technology and regulations. The need for consolidation of billing systems to achieve control by minimizing operational cost is utmost in recent times. POSOrbis has an established billing practice for over 4 years. Tariff plan analysis and testing.